A wave of new, gorgeous amenities announced by Kiawah Island Golf Resort promises to transform Kiawah’s West Beach area for residents and visitors—and the Island’s real estate market, too. The Resort has already broken ground on the first phase of its two-year transformation and will complete construction of all the beautifully designed amenities by the end of 2020, in time for the highly anticipated 2021 PGA Championship at The Ocean Course. Located only a short stroll from the new hotel will lie the new West Beach Conference Center, also designed by Robert A. M. Stern Architects. The Resort plans a grand opening for the center in the autumn of next year. Already a dream locale for destination weddings, The Sanctuary will enhance its offerings with a stately new chapel seating up to 150 guests. The chapel will also offer weekly nondenominational services for all hotel guests. The Resort plans to open the chapel’s doors next summer. The Resort also plans to renovate Kiawah’s popular Night Heron Park, breaking ground this autumn and reopening in the winter of 2020, and expand the Roy Barth Tennis Center, breaking ground this spring and finishing next autumn. Not only will Kiawah residents and guests benefit from these beautifully designed additions and enhancements, the Charleston area is expected to enjoy economic benefits on top of what Kiawah already contributes to Charleston County. 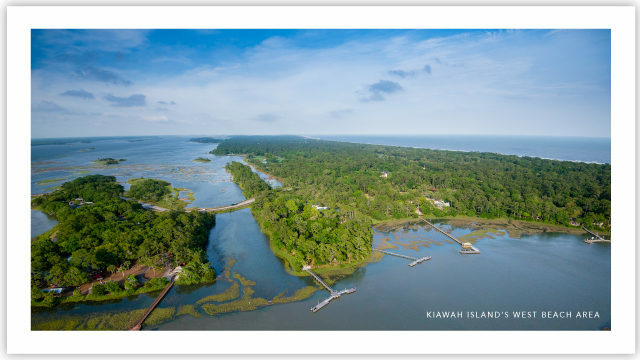 The Resort estimates the new amenities will increase Kiawah’s economic impact to about $300 million per year, up from $202 million. The Island’s real estate market is expected to gain as well. That means the best time to buy is soon, before prices begin their ascent.